Bruno Mars found himself caught in a heated debate about cultural appropriation over the weekend after an activist accused the "24K Magic" star of being a culture vulture profiting off of traditionally black music. 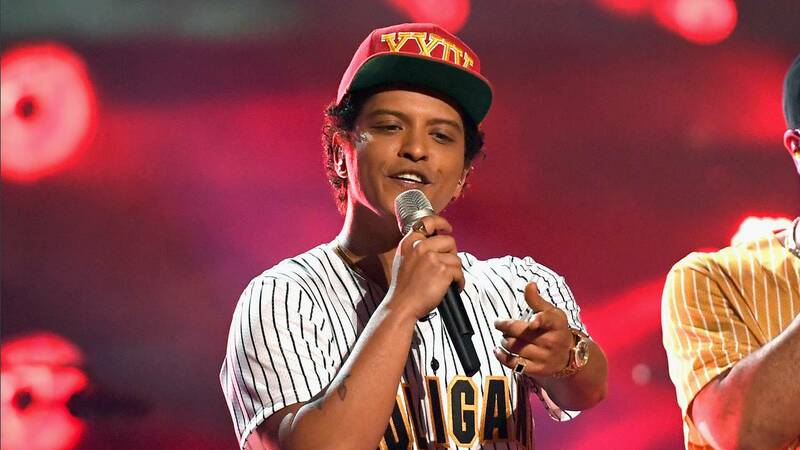 (CNN) - Bruno Mars found himself caught in a heated debate about cultural appropriation over the weekend after an activist accused the "24K Magic" star of being a culture vulture profiting off of traditionally black music. "Cultural appropriation," according to the Cambridge Dictionary, is "the act of taking or using things from a culture that is not your own, especially without showing that you understand or respect this culture." Could that Carter family tour really happen? But the Grammy-winning star is known for blending elements of funk, soul, R&B, reggae and hip-hop in his music --- genres that are historically and traditionally African-American. "Bruno Mars 100% is a cultural appropriator. He is not black, at all, and he plays up his racial ambiguity to cross genres," writer and activist Seren Sensei said in a clip for "The Grapevine," a web series that explores African-American issues. "What Bruno Mars does, is he takes pre-existing work and he just completely, word-for-word recreates it, extrapolates it," she added. "He does not create it, he does not improve upon it, he does not make it better. He's a karaoke singer, he's a wedding singer, he's the person you hire to do Michael Jackson and Prince covers. Yet Bruno Mars has an Album of the Year Grammy and Prince never won an Album of the Year Grammy." "Yeah, she makes a valid point about the appropriation of blackness and how it is now lucrative rather than taboo. Bruno Mars as an example is an awkward one because he has paid homage but that doesn't discredit that he can still benefit from the ambiguity," one Twitter user wrote. Meanwhile, others jumped to Mars' defense. "I just want to be practical here. Are people saying that Bruno Mars shouldn't sing? Or that when he sings he needs to somehow whiten that s--- up and sound more like Rod Stewart," "Black Lives Matter" activist and writer Shaun King tweeted. "I'm dead serious. What type of music is this man "allowed" to do?" R&B singer Charlie Wilson, one of the black artists Mars is accused of copying, praised the musician in a Twitter message and credited him with helping to "bring back that classic New Jack / R&B sound to the masses when it was left for dead years ago and hard for artists to get that sound back on mainstream radar." Wilson -- the former lead vocalist of R&B/funk group The Gap Band -- also praised "24K Magic," which won Mars six Grammys this year, saying, "Bruno's songs on this album are original and no different from any other artist pulling inspiration from genres before him." In defending Mars, fans pointed to statements the artist made paying tribute to the black pioneers who inspired his music. "When you say 'black music,' understand that you are talking about rock, jazz, R&B, reggae, funk, doo-wop, hip-hop and Motown," he said in a February 2017 interview with Latina magazine. "Black people created it all. Being Puerto Rican, even salsa music stems back to the Motherland [Africa]. So, in my world, black music means everything. It's what gives America its swag. "I'm a child raised in the '90s," he continued. Pop music was heavily rooted in R&B from Whitney, Diddy, Dr. Dre, Boyz II Men, Aaliyah, TLC, Babyface, New Edition, Michael, and so much more ... I wouldn't be here if it wasn't for these artists who inspired me." Mars, who dashed hip-hop's Grammy dreams in January when he won album, record and song of the year, also got some words of encouragement from the hip-hop community. "Keep making that funky ish, @BrunoMars!!!! Do you always ❤️," Grammy-nominated rapper Rapsody tweeted. "So is it Bruno Mars fault that...he was influenced by BabyFace, Teddy Riley, Jimmy Jam and Terry Lewis...around the same time from a hip-hop side I was influenced by DJ Premier, Pete Rock, and The Beatminerz? This is a Sociology study on influence and exposure...." hip-hop music producer 9th Wonder tweeted. Mars, who has collaborated with many hip-hop artists -- most recently, Cardi B -- called on Atlanta to select a hip-hop artist to perform at next year's Super Bowl. White musicians suchn a rapper Iggy Azalea and Miley Cyrus, who tried her hand at hip-hop as she rose to fame and then openly distanced herself from it, have often been cast as culture vultures. Most recently, white rapper Post Malone sparked a wave of backlash from the hip-hop community after he appeared to dis the genre that made him famous, in a January interview with GQ. "I definitely feel like there's a struggle being a white rapper. But I don't want to be a rapper. I just want to be a person that makes music," he said.